I am (Your name) writing to request you for my beloved child in your school. Fortunately, the quality education of your school is nearest to my home and affordable. (Describe in your own words). My little boy/girl is quietly intelligent and already learned the basic for pre-school. Please give him a chance to appear in your school admission tests in the coming week. (Explain the actual cause and situation). 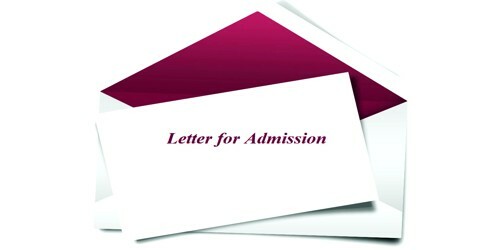 I assure you that my child will qualify for the admission. I will request you to please give my little boy a chance of quality education provided by your school. (Cordially describe your requirements). Respectfully, I, (Your name), father/mother of (Child/Student name), request you humbly to enroll my son/ daughter for the upcoming enrollment of the session fall 20xx to 20xx. (Describe in your own words). I have selected your institute out of many options because I have discussed with people and found that your institute is the best one for the kind of child, my son/daughter is. (Explain the actual cause and situation). S/he is capable and possesses all the qualities that your institute seeks for. I hope, the teachers and staff, under your supervision, will groom my son/daughter to be a competent person in every field of life. (Cordially describe your requirements). I am looking forward to having a hearing from you.